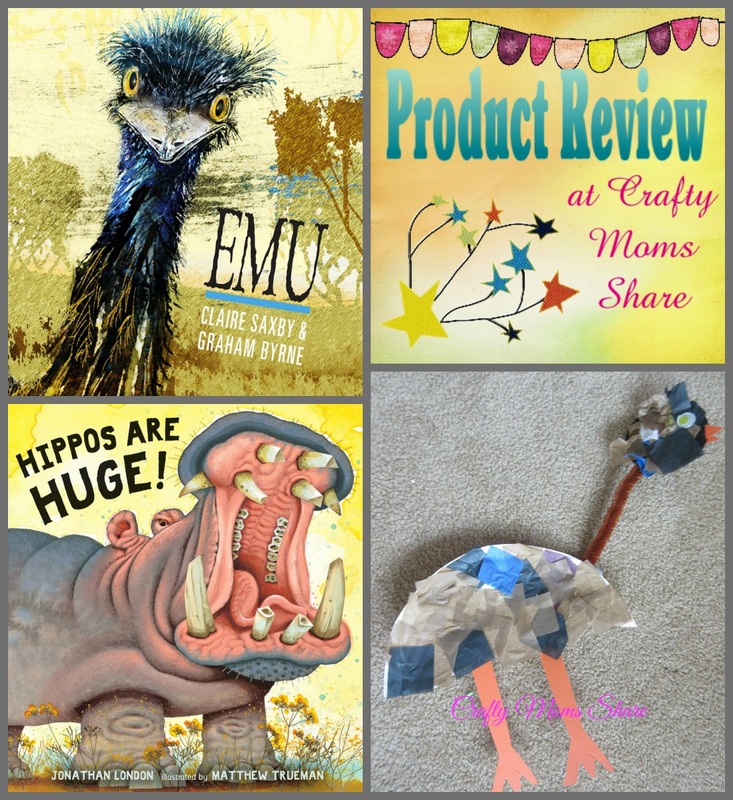 Today we are sharing two fun and educational animal books from Candlewick Press. They are written in the same style as Grandma Elephant's In Charge and Big Red Kangaroo which Candlewick Press sent previously to me to review (and we bought one as a birthday gift for one of Hazel's friends because we love them so much!). These books tell a story about a particular animal and/or group of animals as well as have aside facts about the animal. 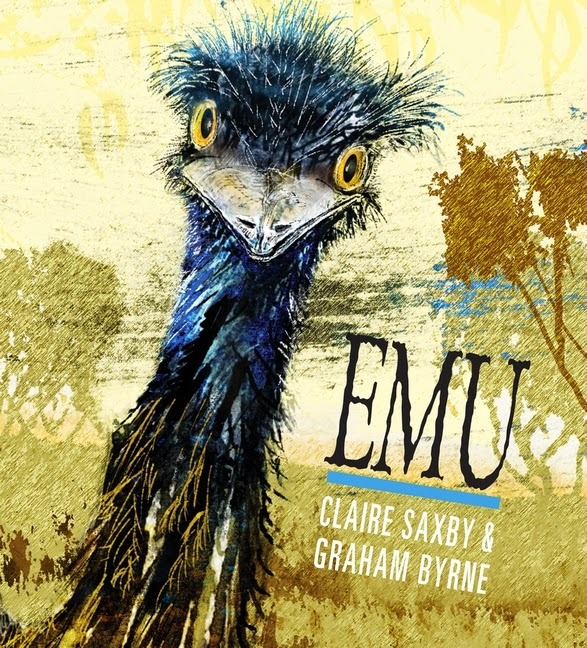 The first we travel to Australia to learn about emus, with Emu written by Claire Saxby and illustrated by Graham Byrne. Emu are non-flying birds in Australia. They are the second largest bird (the first is an ostrich). The mother helps the father build a nest and then lays the eggs and leaves. The father is in charge of the hatching of the eggs and raising the fledglings. So this is a wonderful book for Father's Day! The book shares about how the emus dance and call to mate and how the male emu protects the eggs without eating or drinking much for the eight weeks it takes for the eggs to hatch. They are able to slow their metabolism similar to hibernating animals. The book goes into the details of the coloring of the chicks and why and what the typical day looks like for the emus after the chicks hatch. It also shares some of the dangers to an emu, like an eagle hunting for a chick. The end of the book has a page of just facts about the emus. 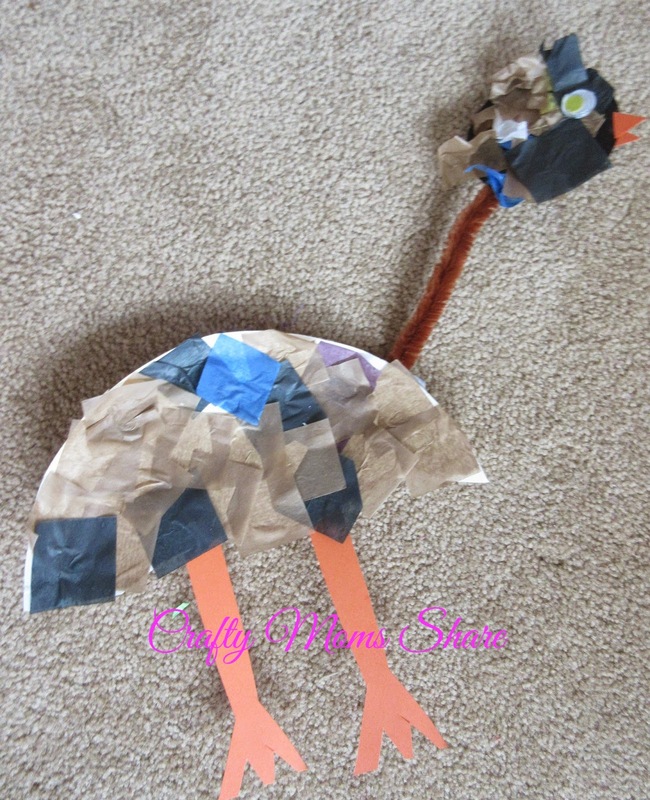 As she did in Big Red Kangaroo, Claire Saxby shares a fun story about the emus as well as the extension of facts on the sides. The pictures are beautiful and enable the reader and listener to visualize the environment of the emus. With Australia being a favorite place to learn about (thanks to Hazel's first penpal being from there), we loved the book. Hazel loves all books about animals and where she can learn facts about them. This book is a fun one to read and learn from. 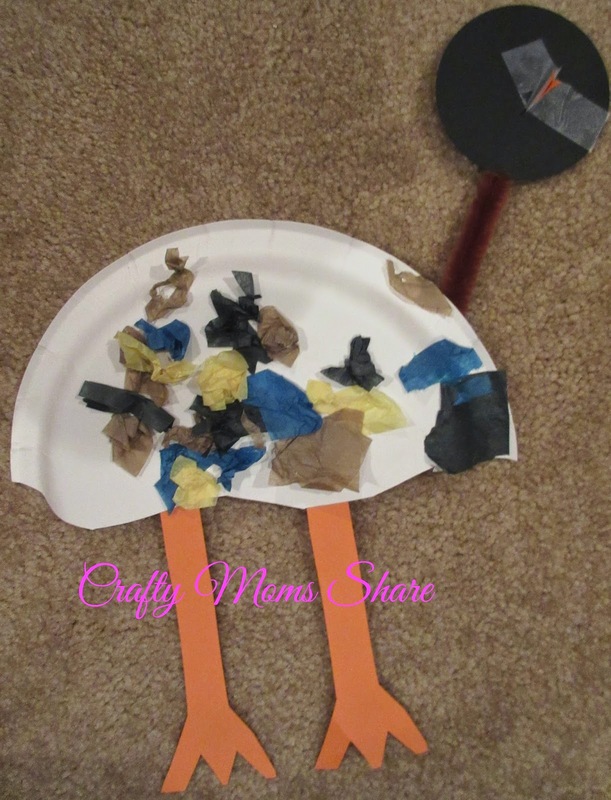 To go with this book we made paper plate emus. We found the inspiration on MSSS Crafts. Hazel did not quite finish hers so it is eyeless. We also found paper finger puppets for both books. 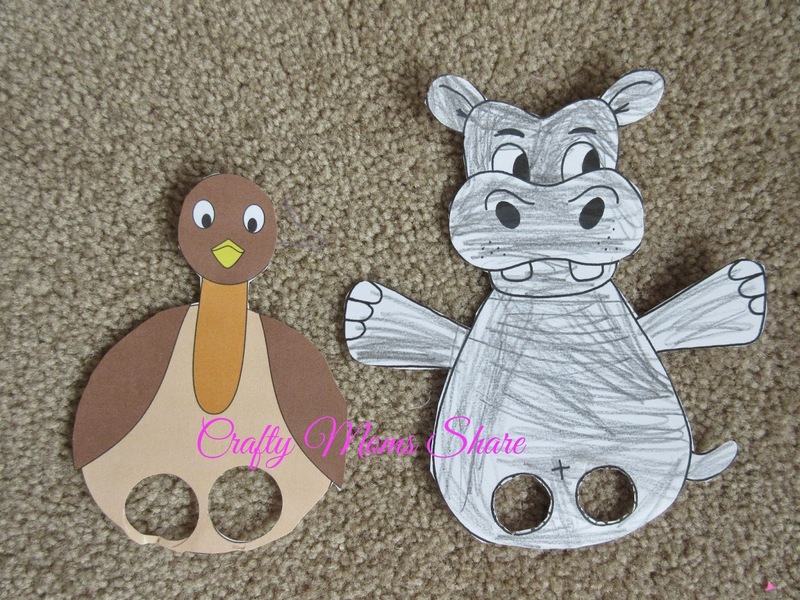 The emu puppet is from Aunt Annie's Crafts and the hippo puppet is from Anasi Spider. Our second book is Hippos Are Huge! by Jonathan London and illustrated by Matthew Trueman. 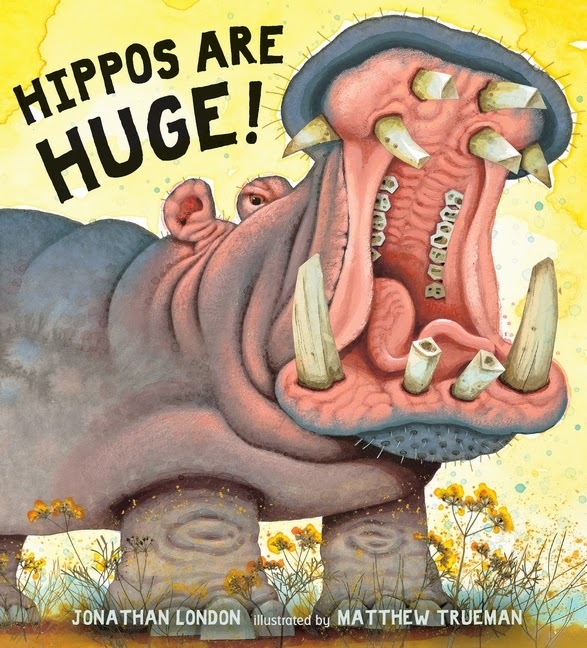 Written in the same fashion with a story about a hippo and facts about hippos on the side, Hippos Are Huge! shares that hippos are the second largest land animals and that they have the second biggest mouth of any animal (a whale's is bigger). The story follows a soon-to-be mother hippo until she has her calf. A hippo yawn is meant as a threat, so beware. Many believe a hippo is the most dangerous animal in Africa. Yet these large land animals are very graceful in the water. The fish in the water help clean hippos teeth and cattle egrets eat the insects out of the hippos ears. The hippo bulls fight by swinging dung at each other with their tails. The reader learns about the nursery for the calves and how their play helps teach them life skills. The calf will weigh around 500 pounds when he is six months old. the last page of the book has a paragraph of facts about hippopotamuses. It also mentions that they were added to the Endangered Species List as vulnerable in 2006. The book has wonderful and colorful illustrations that really help the reader and listener imagine these big animals. They are not the sweet pictures sometimes seen of hippos. The details are wonderful and really help tell the story. This is such a fun way to explore the different animals. We absolutely love these books!! 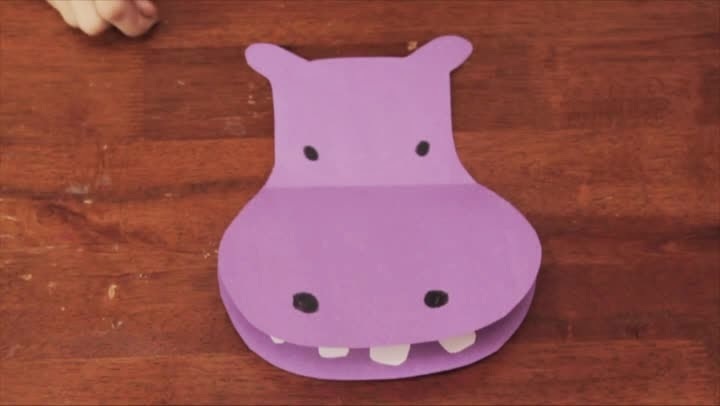 We did not do a hippo craft since Hazel had done one last summer in Sunday School. I thought I had taken a picture of it, but I did not. It was similar to this one from eHow with small marshmallows for teeth. I am also knitting a hippopotamus from another book I will be reviewing soon!! I haven't finished it yet though. I hope you will check out these amazing animal books. I know we have really enjoyed them. My mother read Grandmother Elephant's in Charge to Hazel's class when she was the Mystery Reader a few weeks ago. They really are a fun way to learn a bit about the different animals.